Salmon are moving upstream to spawn and the upcoming weeks and months can provide world-class fishing in Michigan’s rivers and streams, particularly for salmon and steelhead. 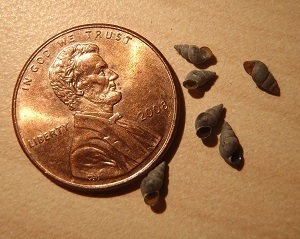 If you’re on the water, remember to take necessary precautions to prevent the spread of New Zealand mudsnails, an invasive species in Michigan since 2015. Want to learn more about aquatic invasive species? Visit michigan.gov/invasives or contact Seth Herbst, 517-284-5841 or Elyse Walter, 517-284-5839. October is Firewood Awareness Month, and Michigan is joining the U.S. Department of Agriculture and The Nature Conservancy to encourage smart firewood choices that protect forests and landscape trees. Buying firewood where you’ll burn it. Buying certified, heat-treated firewood when available. Gathering firewood on-site when permitted. Major concerns in Michigan include oak wilt and beech bark disease. Pests that could reach Michigan from nearby states include Asian longhorned beetle and spotted lanternfly. “Infestations on or in firewood may not be visible, so it isn’t as easy as checking wood before it is moved,” Bedford said. The best way to protect forests and landscape trees is to use locally sourced firewood or wood that is certified by the USDA as heat-treated to kill pests and diseases. 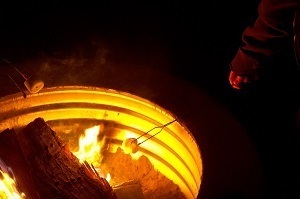 Visit firewoodscout.org to find a firewood vendor near your destination. Learn more about invasive species at michigan.gov/invasivespecies or contact Joanne Foreman at 517-284-5814. Visitors to Lime Island State Recreation Area already know it’s a gem. The park encompasses the 932-acre island in the St. Marys River about 2 miles from the eastern tip of Michigan’s Upper Peninsula – plus about 6.5 acres on the mainland in the community of Raber. Its location in the St. Marys shipping lane has helped shape the island’s rich history as an industrial complex and refueling depot. 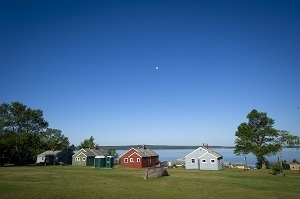 Original structures that once supported the island’s industrial use have been partially restored and repurposed as rental cabins or historical interpretive buildings. "The park’s remote setting makes it a perfect spot for hiking, fishing, swimming, wildlife watching, hunting, watching the freighters and other activities," said Corey Butcher, park manager. "The quiet retreat offers a boat dock, cabins powered by solar panels, and tent camping on wooden platforms." The DNR is developing a new general management plan for the recreation area and is encouraging those interested to share their opinions through an online survey (available through Oct. 31) at michigan.gov/limeisland. The final plan will provide a strategic guide for long-range planning and management strategies that will protect the site’s resources, while addressing current and future recreation and educational needs and opportunities. This survey is one of several opportunities for the public to be involved. An open house (date and location will be announced for spring/summer 2019) will give people another chance to review and comment on the draft plan. 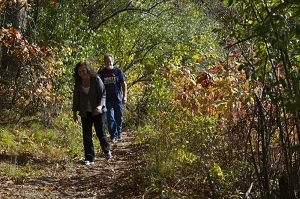 Learn more about the DNR’s general management plan process at michigan.gov/parkmanagementplans. For more on the Lime Island State Recreation Area survey or the proposed plan, contact DNR park management plan administrator Debbie Jensen at 517-284-6105. A number of fishing regulations, preliminary elk season results, the latest on state parks and trails, and an update on deer-check stations around the state are just some of the items on the agenda for the Oct. 11 meeting of the Michigan Natural Resources Commission. The commission meeting is set to start at 1 p.m. at the MSU Veterinary Diagnostic Laboratory, 4125 Beaumont Road, in Lansing. See the full agenda on the NRC webpage. For more information or to request time for public comment at the meeting, contact Cheryl Nelson at 517-284-6237. 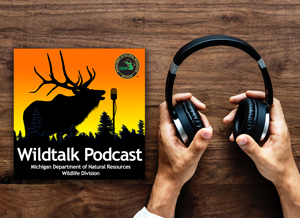 In this episode (season 1, episode 5) of the DNR Wildlife Division's "Wildtalk" podcast, you'll find out what's happening around the state, learn about Michigan's Wetland Wonders with DNR waterfowl and wetlands specialist Barbara Avers, and hear listener questions answered in the mailbag segment. The episode wraps up with a discussion on Michigan bats, perfect for the month of October. Questions? Contact the DNR Wildlife Division at 517-284-9453. PHOTO INFO: High-resolution versions of some of the photos used above (and others) are available in this photo folder. If you've always wanted to try waterfowl hunting, but aren't sure where or how to get started, check out Michigan's managed waterfowl hunt areas and talk with DNR staff this week at Wetland Wonders open houses. This first one is tonight at Crow Island. Need a last-minute gift idea for your favorite outdoor enthusiast? State park and harbor gift cards and eLicense gift certificates are perfect for the hunters, anglers, off-roaders and snowmobilers in your life. Many hunting seasons are under way, and it's a great time to remind everyone to keep an eye out for poaching and other natural resources violations. If you see something, call or text 800-292-7800 24 hours a day, seven days a week.